$6.96 NOTE: Our shopping cart is disabled. We are using it to display affiliate items which if you click on PURCHASE in the PRODUCT INFORMATION by scrolling below or click on the Amazon banner the RRDi receives a small affiliate fee upon completion of your purchase. Mahalo. ORIGINAL ONE : Original manufacture and design of this model,please only buy from this VILOSA brand store, which we have printed the LOGO: ViLoSa on package and product, OTHERS are fake one ! 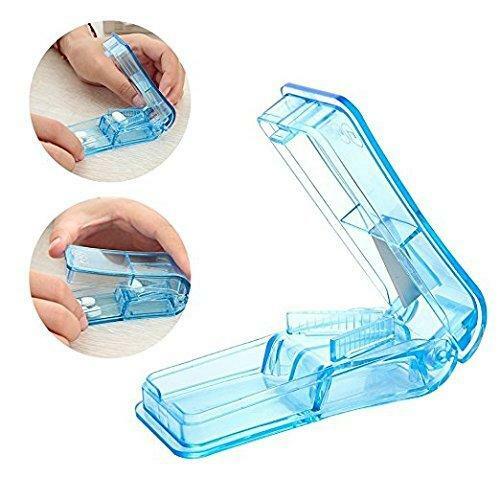 REMARK:This pill cutter can cut very tiny pills (small to 0.2MM), it also do with larger pills MAX 16MM thick.